Systemic structures claim to offer society stability and safety, but they can also limit people to a status quo that stunts our ability to follow personal dreams and aspirations. It may even result in the concealment that dreams are a realistic thing to have in one’s life. Yet, as the stories of some individuals can reveal, we are capable of challenging these barriers and reaching greater potential. Limits are really only concepts which are conceived by people, not a measurable fact that cannot be broken. Khatun Chachi Ji is an inspiring example of how we can empower ourselves when we ignore discouraging words from others, or statistics that are thrown around to hold us back. She has been an employee for Barefoot College for an astounding 23 years now, through which time she has persevered, and continued learning and growing. Her humble beginnings were burdened with several challenges that could easily have dissuaded her from carrying on with her journey into autonomy and self-reliance. She was married at the young age of 15, and was not allowed to leave her own house. A victim of the patriarchy, she was undereducated and unable to read or write. Khatun Ji’s main source of income was through tailoring and stitching. Ten years ago, she lost her husband and was forced to continue as a single mother of 6. Seeking out empowerment, she remained determined to become multifaceted in her skills, and develop a versatility in several fields of work. 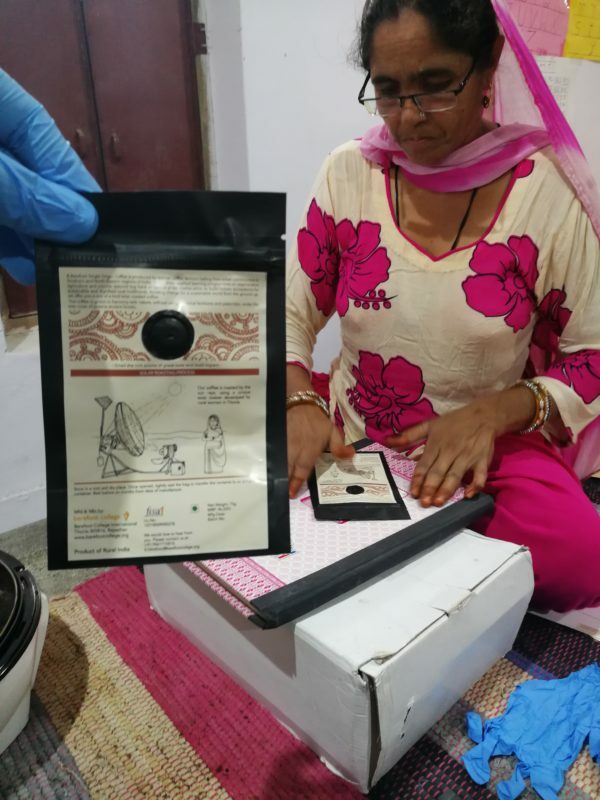 Now working for B. Barefoot Coffee social enterprise, Khatun Ji has many responsibilities due to her various skill sets. 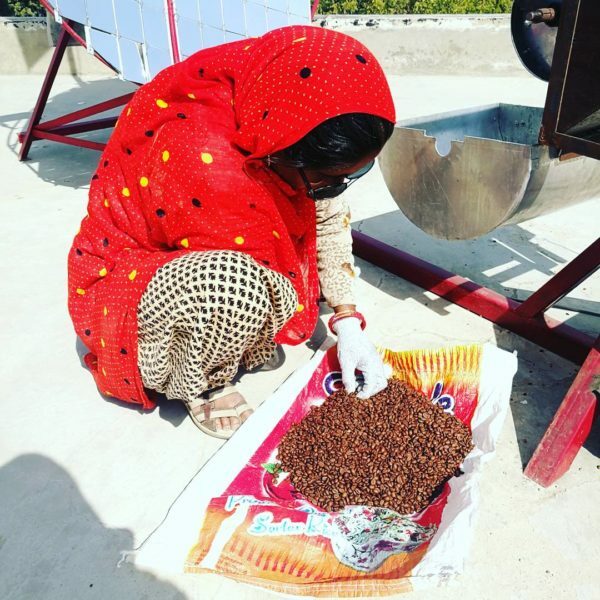 She currently works in packaging and production of coffee, and manages the roasting of the coffee in a solar roaster which was fabricated female solar cooker engineers. Khatun Ji is considered Barefoot’s “Coffee Star”, handling her duties independently, with grace and vivacity. 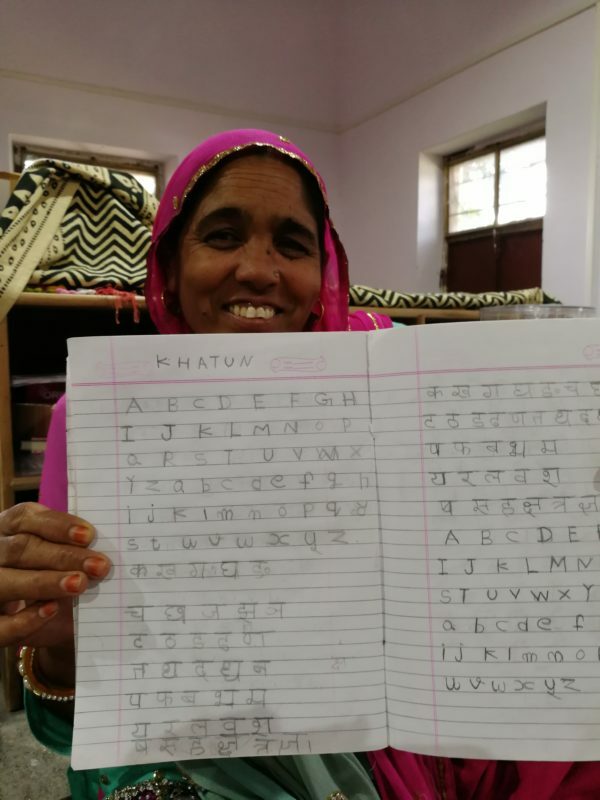 Since her journey began, while determined to attain her aspirations, she has also learned to write her name in both Hindi and English, and count her own age. She is currently learning to read and write, embracing knowledge and wisdom with a smile on her face and a kindness that radiates toward others. Setbacks have never deterred Khatun Ji, nor have her gray hairs. Khatun Ji is the proud mother of 6 children; five daughters and one son. Undoubtedly, her children will be influenced by her perseverance in the face of adversity, and want to thrive in life through education and experiences. One of her daughters, Sahina, is studying for her B. Ed, while she plans to send her son for his ITI. 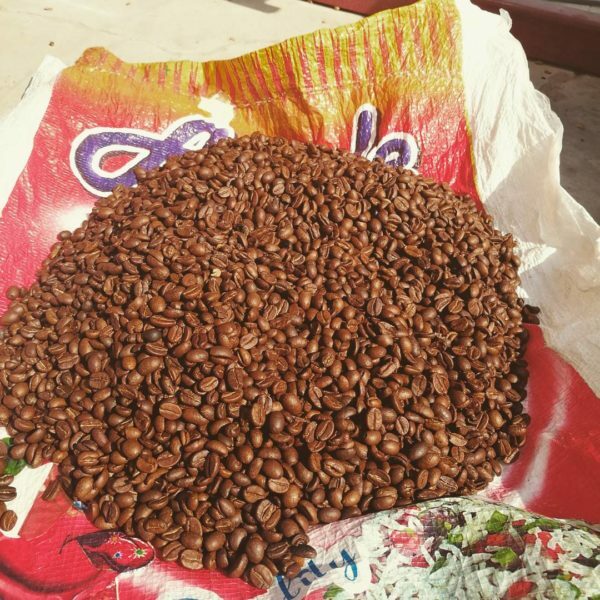 If there is a lesson to take from our versatile, enduring champion of coffee and smiles, it could be “don’t hold yourself back, be like Khutan Ji”.